The much-belated episode covering THE MANITOU is here! Get it through iTunes or download it from here. We recorded this some time ago and I have been too busy to edit it. It sure feels good to get that medicine man-shaped lump off of my back! That is a *seriously* ingrown hair! "Why do people ask me if I'm straight?!?" "Then, a little Glen Danzig climbs out of her back, dude, it was insane!" 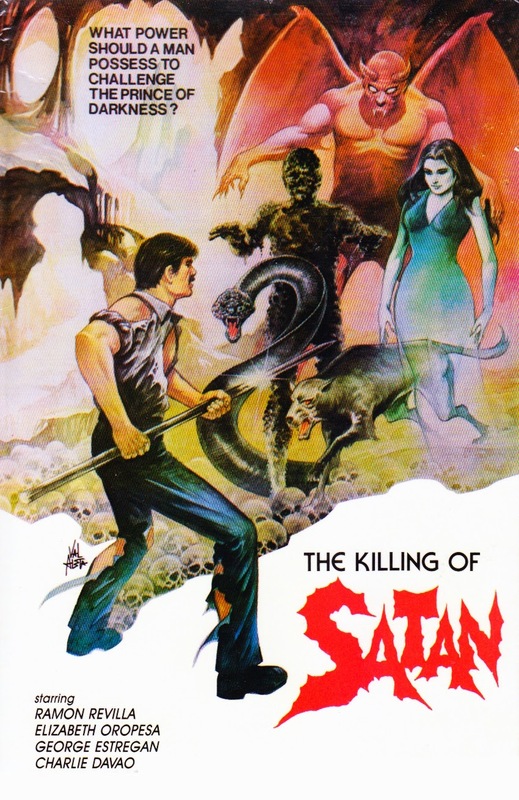 We tackle a Filipino fantasy-horror film that I've been wanting to see for years: The Killing of Satan. From IMDB: A Filipino-made horror-fantasy movie about a man who is chosen by his dead uncle to battle the forces of evil. He fights a being called "The Prince of Magic," who shoots rays from his hands, makes heads spin around and hypnotizes people. He finally faces Satan himself and engages him in a battle of magic.